The first thing that will grab your attention about the Aero 750 is its custom retro style. 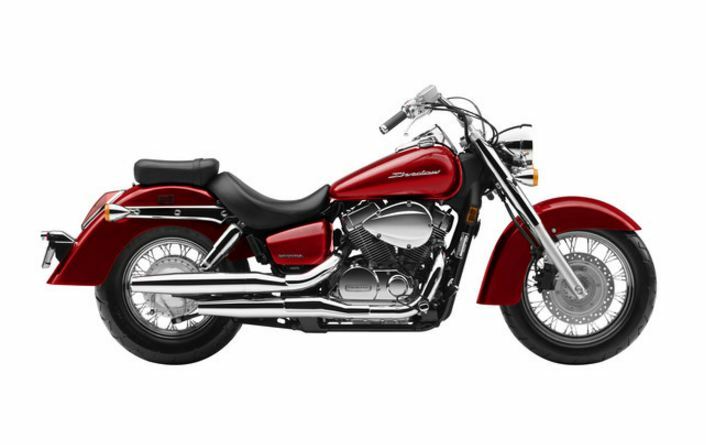 But the real beauty of this cruiser motorcycle is beneath the surface with its big V-twin engine, three-valve dual-plug combustion chamber and five-speed transmission. Riders have the maneuverability to cruise the city streets at an unhurried pace or ramp up on the interstate without revving the engine through the roof. If there’s one place you don’t want retro performance, it’s when it comes to your brakes. That’s why Honda designed the custom motorcycle with a 296mm front disc for distinctly modern stopping power. The road can throw anything your way – from wet pavement to sand and other debris on the street. With Honda’s innovative anti-lock brake system (ABS), the VT750 Shadow Aero ABS delivers confidence-inducing braking in challenging environments. Honda’s proven ABS is a perfect addition to your Aero 750 when you’re riding in a less-than-perfect world. It helps make cruiser motorcycle riding more secure, and under normal operation, you’ll never know it’s there. But when you do need it, it’s always there to back you up. Brake with confidence when you ride the VT750 Shadow Aero 750. That’s the extra confidence you need to enjoy your riding experience without a worrying about what’s around the next curve.